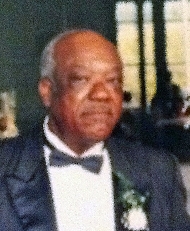 Leo Johnson Sr. obituary. Carnes Funeral Home. May 16, 2016 My condolences to the Johnson family and friends. May these loving words comfort you through this difficult time. Jehovah God is close to the brokenhearted; He saves those who are crushed in spirit. And he will wipe away the tears from all faces. Psalms 34:18; Isaiah 25:8. Peace be with you. M. E.
Leo Milton Johnson was born on a wonderful sunny day, June 4, 1934 to proud parents, Matthew and Mary Davis Johnson in Natchitoches, LA. He was educated in the public schools of Natchitoches. In 1963 Leo married the love of his life Rose Mary Rideaux. To this union 3 children were born: Aldarita Parker, Angelia Cooper and Yvette Johnson. Leo worked for the city of Texas City for 27 years before retiring to spend quality time with his family. Leo was a faithful member of Progressive Baptist Church in Texas City, Texas, Reverend Jonathan Steele, Sr., pastor. He gave steadfast serve to the Usher Board, Brotherhood, Sunday and Bible Study. He served as a Deacon for many years. Being led by the Holy Spirit, Leo united with Cornerstone Fellowship church in La Marque under the Pastoral leadership of Reverend Matthew Mouton. Leo was a quiet and humble man that loved his family unconditionally. He was a hard worker and great provider. He was always joyful to be around his wife, children and grandchildren. Leo Departed this life at Mainland Center Hospital on May 8, 2016 surrounded by his wife, daughters and grandchildren. Leo is preceded in passing by his parents, Matthew and Mary Johnson, his brother and sisters; George Johnson, Herman Johnson, Dolly Payton and Mary Jones. He leaves to cherish his memory his beloved wife of 52 years, Rose Mary Johnson; his children, Cleo Denise Williams, Aldarita (Kevin) Parker, Angelia (Michael) Cooper, Yvette Johnson and Janice (Lorenzo) Shaw; his twelve grandchildren, Chantal (Jarvis) White, Aariel Shankle, Evan Cooper, Kendra Cooper, Riley Kelley, Jayden Johnson, Kevin Parker, Tevin Parker, Corey Williams, Marcus Williams and Tanisha Williams; one great grandson, Harrison Johnson; his sister and brother , Bessie DeRocha and Matthew Johnson, Jr.; his special niece, Patricia Jones Kuadey and a host of nieces, nephews, cousins and friends.